To succeed in today’s global market, reliable distribution and warehousing facilities are essential for our customers. We can provide trusted and cost-effective storage solutions tailored to our customers’ individual needs. We have our own fleet covering Europe, making us an ideal partner for customers with time-sensitive supply requirements. Our in-house kitting and contract-packing teams offer a complete services from a simple, auditable and high-quality source. In addition to our warehouse activities, we offer so-called a hole-in-the-wall solution, packaging management in the broadest sense. 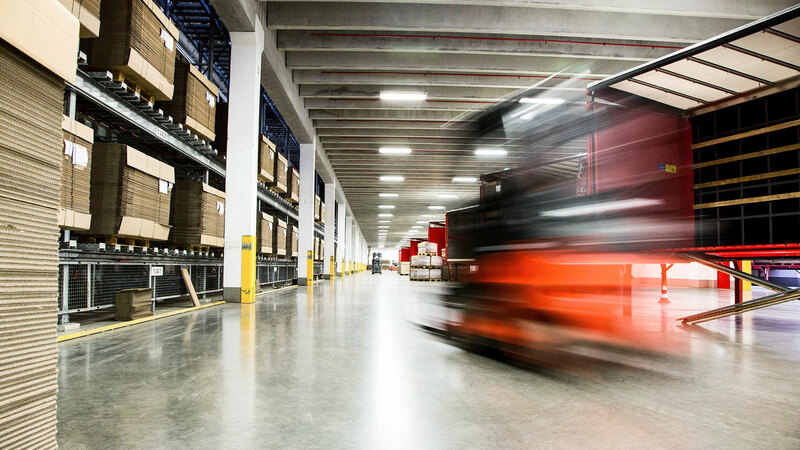 Hole-in-the-wall warehouse and assembly hubs enable us to deliver packaging from facilities located either directly at the customer’s site or directly outside it using the latest logistics and packaging technology. 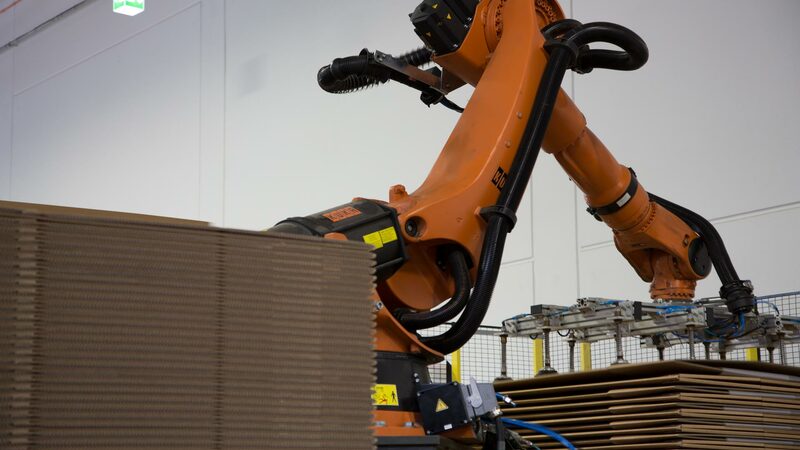 Beyond packaging solutions, we offer a fully integrated project in which we install machines, train employees and monitor the customer’s packaging processes. From day one, we make sure we understand the customer’s brand DNA and translate it into products that stand out in the market. At the same time, we help optimise the company’s operations with a reduced carbon footprint, lower transportation costs and a just-in-time inventory system. Thanks to our Proof-of-Concept Centre, we can further expand our collaboration with our customers through research and development aimed at creating the most desirable, practical and sustainable packaging solutions. Tackling challenges such as a fast time-to-market, product differentiation, cost efficiency and sustainability is a strength we like to share with other customers. We are ready to grow with them, increase the value of their products and improve the experience for their own customers. Our service does not simply end when we deliver your packaging!